Of all the ways to ruin a day at the beach, slipping over and accidentally becoming home to a sea mollusk must be one of the worst. The story, published in BMJ Case Reports, starts with an 11-year-old boy slipping over while exploring a tide pool at a beach in San Pedro, California. After a few days, his parents noticed his elbow wasn't healing and appeared to be badly infected. When the wound seemed to be increasing in size, they took him to the hospital. Dr Albert Khait, an assistant professor of pediatrics at Loma Linda University in California, examined the elbow that had become a pus-filled red skin abscess, a sure sign of a nasty infection. 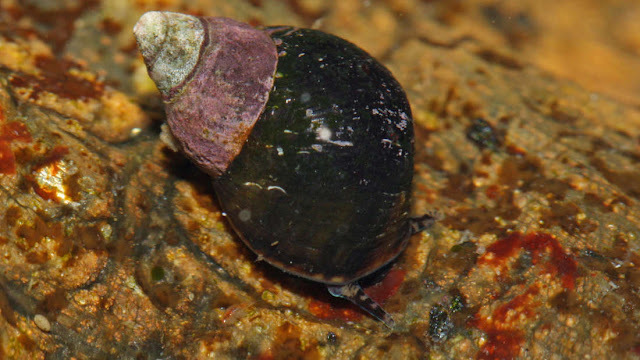 Doctors sliced the abscess open and discovered a small checkered periwinkle marine snail (Littorina scutulata) living within the subcutaneous tissue of the boy's elbow. Through a massive stroke of bad luck, it appears that the egg of the periwinkle managed to become lodged in his cut when he slipped over. How, though, could this small sea creature live in the hostile environment of a wound for over a week? It turns out, these sea snails are pretty tough little guys. "Periwinkles are herbivores, feeding primarily on algae from rocks in the high tidal zones,” the report explains. “As a result of living in this habitat, they are often exposed to air and have the capability to close their shell tightly onto firm surfaces with a horny operculum and a glue-like mucous. After the snail's removal, the boy was given a course of antibiotics and was as right as rain within a couple of days. Although you’d think this was a freak accident, there was an extremely similar story in 2015 of a sea snail getting trapped in a boy's knee after he fell over at the beach. Well, that's summer ruined.